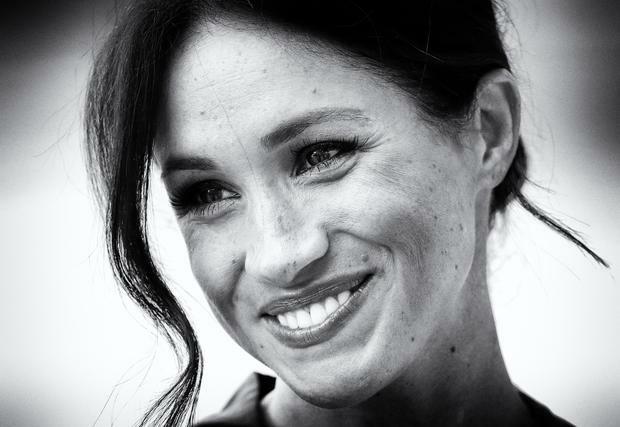 Meghan Markle has held private talks with Michelle Obama after watching her speak on female empowerment, royal protocol and the challenges facing black women in the public eye. The Duchess, whose public work is expected to focus heavily on advocacy for women, watched Mrs Obama speak at the South Bank Centre in London on Monday night, joining an audience of 2,700 people to hear the former First Lady’s advice about life. Afterwards, the pair met privately backstage for a convivial conversation: the first time they have spoken directly despite their shared professional interests. The Duchess, who attended the event with staff rather than her husband the Duke, was spotted by members of the public during the evening, and is understood to have enjoyed a warm personal discussion with Mrs Obama afterwards. The meeting is likely to have been particularly appreciated by the Duchess, who has faced a difficult few weeks in the public eye fuelled by news that the Sussexes are moving away from their in-laws at Kensington Palace. The pair share a common interest in women’s empowerment, with their husbands already firm friends after working together to promote the Invictus Games. The Duchess will announce her next projects for her work in the Royal Family, as well as her first charity patronages, in the new year. Last week, Mrs Obama offered advice to the Duchess in a magazine interview, recommending that she “take some time and don’t be in a hurry to do anything”. At the live event at the South Bank, publicising her autobiography, Mrs Obama spoke on topics from the Queen’s alleged dismissal of royal protocol as “rubbish” to her disdain for fashion designers who “treat their staff badly”. On being a black woman in the public eye, she said: "People will literally take our voices, they will take the things from us that they like, the size of our hips, our style, our swag, it becomes co-opted but then we are demonised. "We are angry, we are too loud, we are too everything and I experienced that, just campaigning, just speaking truth to power, how dare I have a voice and use it? "My advice to young women in that you have to start by getting those demons out of your head, the questions I ask myself 'am I good enough?' that haunts us, because the messages that are sent from the time we are little is maybe you are not, don't reach too high, don't talk too loud. "This is true for women, this is true for working-class people but it is profound for women of colour in a way that I don't think most people understand." Speaking to schoolgirls, the former First Lady also preached on the importance of women sticking together, saying: “Start practising for the sisterhood. We as women don’t have the luxury of tearing each other down. In an on-stage interview, Mrs Obama may inadvertently offered words of comfort to the Duchess who has faced criticism for “breaching protocol” with some of her fashion choices since joining the Royal Family.